ADHD can be treated effectively, but it requires the correct approach. At Pinehurst Family Care Center, P.A. in Pinehurst, North Carolina, the doctors will perform an evaluation and either recommend an initial treatment plan or refer to a specialist for additional testing and treatment. The doctors can then help patients with regular medication maintenance. Attention Deficit Hyperactivity Disorder (ADHD) is a behavioral disorder that impacts primarily children, although it can occur in people of any age. ADHD sufferers find focus and control to be very challenging in many cases. This can create problems in school, work, and life in general. How Can ADHD be Recognized? The signs of ADHD vary by person. People who have predominantly inattentive ADHD have trouble focusing on tasks, become easily distracted, and may have trouble staying active in conversations without their attention wandering. People who have predominantly hyperactive-impulsive ADHD may talk constantly, be unable to sit still, and may seem to have nearly boundless energy at times. People who have combination ADHD have both inattention and hyperactivity symptoms equally. Is ADD Different Than ADHD? Attention Deficit Disorder (ADD) was once a separate diagnosis but is now grouped into ADHD. People who have predominantly inattentive ADHD have what is sometimes still called ADD. Essentially, ADD is a type of ADHD that includes symptoms of inattention and distraction. How Does ADHD Treatment Work? ADHD treatment at Pinehurst Family Care Center, P.A. begins with an evaluation by the doctor. Once ADHD is diagnosed or suspected, the patient will receive an initial treatment recommendation, which in some cases may include additional evaluation by an ADHD specialist. 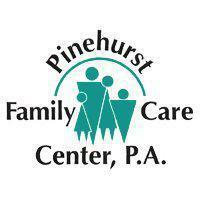 The patient will then return to Pinehurst Family Care Center, P.A. to receive ADHD treatment and medication. ADHD patients will check in with the doctor on a regular basis to make sure that the treatment is effective. The specific treatment used will depend upon the patient and their symptoms. Many people benefit from medication combined with lifestyle changes. For example, there may be some routines or exercises that the patient can use to help them focus more effectively or to calm down when they are over-stimulated. The doctor will customize ADHD treatment for each patient.